The other godlike pleasure in owning a blog is deleting comments even when they’re not spam. The moderator of Decorno deletes any comment with “LOL” in it. 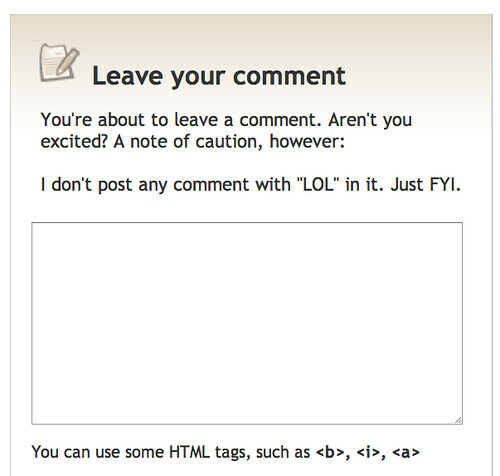 This entry was posted on Sunday, April 18th, 2010 at 12:42 pm	and is filed under humour. You can follow any responses to this entry through the RSS 2.0 feed. You can leave a response, or trackback from your own site.